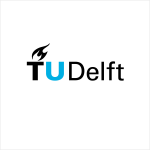 As one of the world’s leading training grounds for these engineers, TU Delft views its role in society as supplying technological solutions that take us significantly further along the road towards sustainability and a flourishing economy. We position ourselves as an open academic community which, through its scientific personnel and graduates, is represented throughout the academic world and is rooted in our own regional and national, social and economic environment. TU Delft wishes to remain a technology university with a leading global reputation. To do this, our aim is to maintain a full range of high-quality disciplines, courses and unique facilities in the engineering sciences. Collaboration is an essential part of this, on the basis of our strong identity and reputation. TU Delft wants to be a breeding ground for cutting-edge technological scientific developments to meet the great societal challenges of our age. It is also our ambition to be viewed by the business community as a source of outstanding professional scientists and engineers, as a producer of excellent practical knowledge and as an innovative partner. In other words, as a university where new business activities are allowed to blossom and where the research and education have a significant impact on the competitive economic environment. There will be a considerable number of global challenges and crises to confront in the coming decades– economic, environmental, technological, social, moral and demographical. Delft University of Technology will gear its Engineering and Policy Analysis Program towards international policy challenges. The students and staff will work with an international community of professionals, academics, policy makers, and opinion leaders in The Hague. Collaboration will be continued with institutes that have similar educational and research programs, such as University College London, ETH Zürich, Cornell University and Steven Institute of Technology in New York, Purdue University, MIT and Carnegie Mellon. The program will capitalize over its past performance in addressing relevant and hard policy problems as they appear on the national and international agenda. A student body of 200+ international (with an annual enrollment of 75) master students with Bachelor degrees in science, engineering and computer science from the best universities in the world will come to The Hague to study Policy Analysis in a renewed curriculum. They will study state of the art computational social science, advanced and exploratory modeling of policy measures, simulations and serious gaming concerning political decisions and legislation, risk analysis, and a range of quantitative approaches to policy modeling and decision making in the public domain. Their study program is based on and inspired by the research programs and projects of the Faculty of Technology, Policy and Management of TU Delft.